There are five types of bankruptcy filings. Chapter 7 is the liquidation chapter of the Bankruptcy Code, and is sometimes referred to as “straight bankruptcy.” In a Chapter 7 case, a Trustee is appointed to collect and sell any property that is not exempt in order to pay creditors. Debtors can protect certain property from liquidation with exemptions. Upon completion of the case, Debtors receive a discharge of their debts. Chapter 9 is solely for municipalities and governmental units. Chapter 11 is a reorganization and is typically filed by businesses, though individuals with too much debt to file a Chapter 13 can also file under this chapter. In a Chapter 11, creditors get to vote to determine whether they will accept the proposed plan of reorganization. Chapter 11 bankruptcies are very complicated and tend to be quite expensive. Chapter 12 is similar to Chapter 13, but is only available to family farmers and fisherman. Chapter 13 is a debt repayment plan, where debtors are able to pay creditors over a period of time. The maximum amount of time a Chapter 13 case can last is 60 months. In order to file a Chapter 13 bankruptcy, a prospective debtor must have regular income to fund the plan. 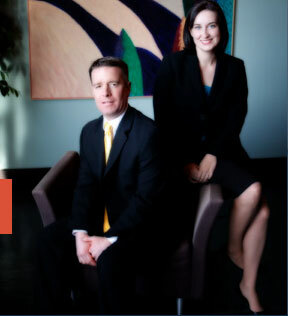 The best way to determine which chapter of bankruptcy is right for you is to meet with an experienced St. Louis bankruptcy attorney to discuss your unique situation.